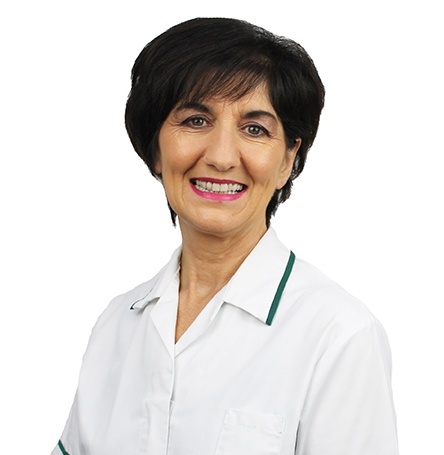 As an experienced clinical team, we at Seating Matters take pressure management extremely seriously. Our chairs have been thoroughly clinically trialed, tested and proven to provide maximum pressure management when used with The Four Principles of Pressure Management. 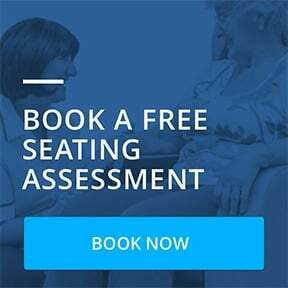 We conducted a two year randomised control trial on the effectiveness of specialist seating provision which has provided a solid evidence base to enable clinicians such as enterostomal nurses, wound care nurses, tissue viability nurses, occupational therapists and physiotherapists, to provide justification for our seating solution, making us the only seating solution in the world with this level of robust clinical evidence. Let's look at the various elements of the chair which should be considered for providing medium to high pressure management. In considering pressure management in seating, it is common for many to think only about the cushion on the chair. However the cushion is only one quarter of the chair components that have an impact on pressure redistribution. To prevent pressure injuries in seating we must look at the whole chair – not just the cushion. What features should a pressure management cushion have? First Layer: Two inches of memory foam to allow immersion and envelopment of the Ischial Tuberosities (ITs) into the cushion, this immersion gives stability and reduces shear and friction. It's widely accepted that the ITs immerse two inches into their surface for maximum support. Here is a handy download which covers the level of pressure management in Seating Matters chairs. cushion, the contours of your hand should be enveloped by the foam, then remove your hand. The foam should bounce right back. In the Ulster University KTP research project, all of the participants using the Seating Matters chairs were using the Seating Matters cushion and there was a reduction in the incidence of pressure injuries and skin redness in this group at the end when compared to the start of the study. The control group used 46% more high cost cushions (e.g. air, gel and air alternating cushions) but experienced a 5% increase in pressure injuries and skin redness in the same period of time. A warning against pressure mapping tests: Seating Matters are experts in ethical clinical research and together with our clinical team we tested our range of seating in a real life environment with a two year randomised control trial. Pressure mapping can be easily done in a laboratory environment with able bodied participants and we strongly believe that it is not the best way - or the only way - to test a product and pressure mapping evidence alone shouldn't be solely relied upon. It only provides one part of the picture, by looking only at the pressure management properties of the cushion - and not the entire chair. Discover more about our clinical research results here, NOTE: The full research is to be published later this year. By testing in a randomised control trial with real patients and gaining ethical approval; this provides us with the confidence that similar results can be achieved by clinicians in real life settings. If a foam cushion can be easily flattened between the fingers, or if it appears banana-shaped when no one is sitting on it, it needs to be replaced. We recommend that the cushion is reviewed every year. The Seating Matters system is modular and comes as standard with a base board with non slip material (no velcro for optimum infection control) which enables a different cushion to be used within the seating system if prescribed by a clinician, however we do recommend our own cushion. What Sets Seating Matters Apart? Our unwavering commitment to high standards. High standards in the commitment we have to advancing clinical research, in the production of our chairs, our approach to person centered care, and the fact that we work with the best in the industry - suppliers, crafters and clinicians. We are proud to be a partner with many world leading businesses, and one of these is Dartex. The cushions and weight bearing surfaces on the Seating Matters chairs are covered by Dartex material which fits the contours of both the cushion and body giving the required level of support. Dartex fabrics also offer great stretch recovery which will help prevent sagging and will therefore provide a more comfortable and effective support surface for longer. The key is Immersion and Envelopment. Immersion is defined as, ‘Depth of penetration (sinking) into a support surface’. The greater the extent of the sinking into the support surface the greater the opportunity to redistribute the pressure. All seating surfaces should allow for immersion as the ITs naturally immerse 2 inches into a surface when seated but only if they are allowed to. Some support surfaces prevent immersion by having a very taught surface or having additional material between the client and the cushion. We recommend placing the client directly on the cushion to reduce the risk of shear and friction and to encourage immersion. With the Dartex covering the cushion offers a degree of moisture vapour permeability to ensure that the cushion remains dry and comfortable to the touch. Any material next to the skin which interferes with its natural temperature and moisture control can also aggravate the risk to the patient. The cushion will give sufficient slip, as excess surface friction can add to the risk of pressure injury. Envelopment is a key player in what happens next. The stretch of the fabric is vital to the successfulness of the envelopment. Poor envelopment is caused by non-stretch covers which can cause hammocking. This creates a focus of pressure, which increases the risk of pressure ulcers developing. Hammocking is shown in the ‘bad’ section of the envelopment diagram. High stretch covers redistribute the pressure, therefore the more contact the body has with the support surface the more the pressure is redistributed. Why is Immersion and Envelopment Important for Pressure Injury Prevention? Immersion and envelopment combined are fundamental properties of a support surface. The intended outcome is to re-distribute pressure around the body which in turn helps to prevent tissue deformation. Without this pressure is retained in one place leading to the cells being starved of oxygen and therefore eventually breaking down to cause a pressure injury. Following our research with Ulster University it was evident that pressure management was about more than just cushion. The use of tilt in space is vital to achieve maximum pressure redistribution. Evidence shows that the optimum angle for an effective weight shift and therefore pressure management is between 30° and 45°.² The Seating Matters Sorrento and Phoenix chairs are the only chairs with 45° tilt as an option, which is the optimum position to off load the IT’s and redistribute pressure. Larger degrees of tilt are needed for those at risk of pressure injuries. Effective Repositioning (Every 2 hours). Discover more about the Four Principles of Pressure Management by requesting your copy of The Clinician's Seating Handbook here. Click here to request a download which covers the level of pressure management in Seating Matters chairs. We must stress that this is a guide and each patient has different needs which must be individually considered and assessed before a decision can be made. 1. Daly, O., Casey, J., Martin, S., Tierney, M. & McVey, O. (2013) The effectiveness of specialist seating provision for nursing home residents, Ulster University. 2. Sonenblum, S.E. and Sprigle, S.H.,2011. The impact of tilting on blood flow and localized tissue loading. Journal of Tissue Viability, 20(1): 3-13.